Our Company’s flagship store is located at Chhatrapati Shivaji International Airport. Our Company has 17 stores at the Chhatrapati Shivaji International Airport, Mumbai, including four core duty-free stores, one Indian gourmet store and 12 speciality stores with an aggregate retail area of 6,627 square meters, Our stores offer categories such as liquor, tobacco products, toiletries & cosmetics, food & candies, Apparel & Accessories watches and jewellery, Electronics and Technology and other products, including souvenirs. Liquor: Houses exhaustive range of liquor beverages, including single malt assortment of more than 100 SKUs. 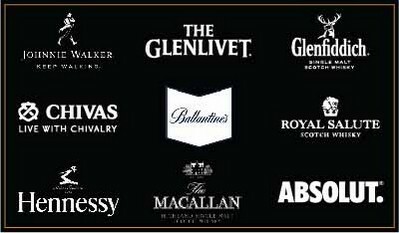 It was also the first store to launch specialty products like Absolut India and Glenlivet Single cask edition. The store was first to launch a branded “JW House” (Johnny Walker Whisky) in an airport location and the first to launch “Luxe Boutique” multi-branded luxury store from Pernod Ricard. Tobacco: We have a wide assortment of imported cigarettes and cigars. Toiletries & Cosmetics: It is the one-stop destination for all your skincare products, cosmetics and fragrances requirements. Pamper yourself with their well selected array of products to look radiant and fresh day after day. Food & Candies: Walk around this joyful section for the trendiest confectionary and other food items. Present in various packaging options - elegant to traditional to classic, these are ideal as gifts to take back home or as personal treats. Souvenirs & Indian Gourmet: This specialty store captures the essence of Mumbai with an assortment of fine foods evoking the feeling of an Indian market. From fresh teas to sweetbreads, “The Indian Gourmet Store” is designed with a truly authentic “market” feel in which the products are presented in a localized environment with a touch of flair. Apparel and Accessories: The newest addition to Mumbai Duty Free’s wide array of categories is Apparel and accessories. Ranging from well known international brands for bags, small leather goods, travel accessories, fashion watches and major fashion labels, this space is sure to give you a visual treat along with a great shopping experience. Our stores are designed for international travellers and specifically oriented towards their preferences. The design, space and product portfolio across our retail stores are tailored by location to permit flexible responses to changes in customer profiles and environmental and economic criteria. By designing our retail area in this way, we actively encourage innovation in selling space for the latest store concepts whether in the form of product novelties, emerging brands or digital innovation. Our customers are better connected travellers and we maximise communication and selling opportunities at every touch point pre, during and post travel and on vacation through combination of in-house , airport and brand partner communication channels. 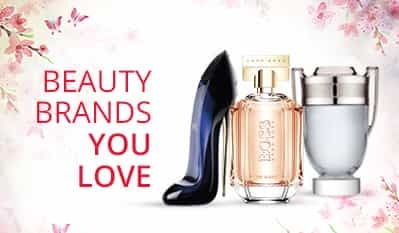 Shop Duty Free Products at your leisure! At Mumbai Duty Free, you can pre-order the duty-free products at your convenience. 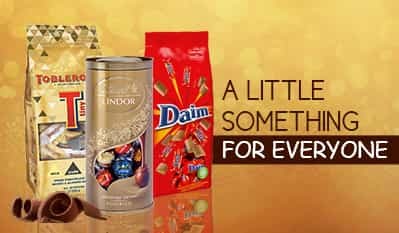 Our catalogue has a wide range of premium and international liquor brands, luxury beauty products, perfumes and irresistible chocolates. Why carry them around in your luggage when you can simply buy your products online at the best prices and pick them up when you arrive at the airport! - Isn’t that simple? So what you are waiting for? Get online whenever you plan for an international travel and buy the duty-free products you want. After Mumbai Duty Free receives your order, you will receive an email confirming receipt of your order. If you do not receive an email, contact Mumbai Duty Free before you try to place another order for the same product. All the payments as mentioned and confirmed by Mumbai Duty Free shall be paid over the counter while receiving the product. If you have any questions, comments or concerns regarding Flemingo Mumbai Duty Free’s order acceptance policy, or if you consider that your order was rejected in error, please contact Mumbai Duty Free. Mumbai Duty Free allows access to liquor portal to bonafide international passengers only who are above the age of 25 years. By accessing the liquor portal of the website, the user swears and affirms that the user is bonafide international passenger and above the age of 25 years. In case of misrepresentation, a legal action might be taken against the user as per the laws of the land. By accessing the liquor portal of the website, the user agrees that any liquor reserved by him/her is intended for user’s personal consumption and not for resale. There has been no advertisement, personal communication, solicitation, invitation or inducement of any sort whatsoever by the Mumbai Duty Free to solicit any sales of liquor through this website. The user wish to gain information for his/her information and use. The information is being provided to the user at user’s specific request. The information obtained or material downloaded from this portal is completely at the user’s volition. The information provided under this portal is solely available at user’s request for informational purposes only, should not be interpreted as soliciting or advisement. The user can obtain delivery of liquor booked by him/her from our duty free shops at Chhatrapati Shivaji International Airport, Mumbai only after verification of details submitted by user by our staff. to determine whether the merchandise has been damaged, abused or used. The amount will be refunded /reimbursed to the same credit card through which transaction was completed. Credit card refund for products which meet the refund criteria explained above will be processed within three to four working weeks or specified as per the card merchant. We do not refund any perishable items, raffle tickets, pre-paid cards and high value items where there is difficulty in guaranteeing the authenticity. This site is provided by Mumbai Duty Free on an “as is” basis. Mumbai Duty Free makes no representations or warranties of any kind express or implied, as to the operation of the site or the information, content, materials, or products included on this site. To the full extent permissible by applicable law, Mumbai Duty Free disclaims all warranties, express or implied, including, but not limited to, implied warranties of merchantability and fitness for a particular purpose or non-infringement. Notwithstanding that some jurisdictions may not allow the exclusions of implied warranties, but by the voluntary use of the site and voluntary access to the same, this disclaimer would continue to apply to you. Furthermore, notwithstanding the above, the access to this site and taking of any actions thereon signify that you consent and agree that irrespective of any rights that you might claim to vest in you by law, only the warranties as are expressly contained herein shall apply and that no other warranties, assurances, indemnities would apply or be enforced against us. Mumbai Duty Free shall not be liable for any damage of any kind arising from the use of this site, including, but not limited to direct, indirect, incidental, punitive, and consequential damage. Mumbai Duty Free also again does not warrant that this site or the server that makes it available, are free of viruses or other harmful components. You understand and agree that any materials downloaded or otherwise obtained through the use of the site is at your own discretion and risk and that you would be solely responsible for any damage to your computer system or loss of data that results from the download of materials. You shall indemnify and hold harmless to Mumbai Duty Free and (as applicable) Flemingo’s subsidiaries, affiliates, third-parties and their respective officers, directors, agents, and employees, from any and all claims, liabilities, damages, losses, costs and expenses, including attorney's fees, caused by or arising out of claims based upon the use of User's actions or inactions, including but not limited to any warranties, representations or undertakings or in relation to the non-fulfilment of any of its obligations under this Agreement or arising out of the User's infringement of any applicable laws, regulations including but not limited to Intellectual Property Rights, payment of statutory dues and taxes, claim of libel, defamation, violation of rights of privacy or publicity, loss of service by other subscribers and infringement of intellectual property or other rights.